The additive manufacture of large-volume plastic components is a time-consuming undertaking. Researchers at the Fraunhofer Institute for Machine Tools and Forming Technology IWU have now developed **** Extrusion Additive Manufacturing (SEAM), a system and process that is eight times faster than conventional 3-D printing. 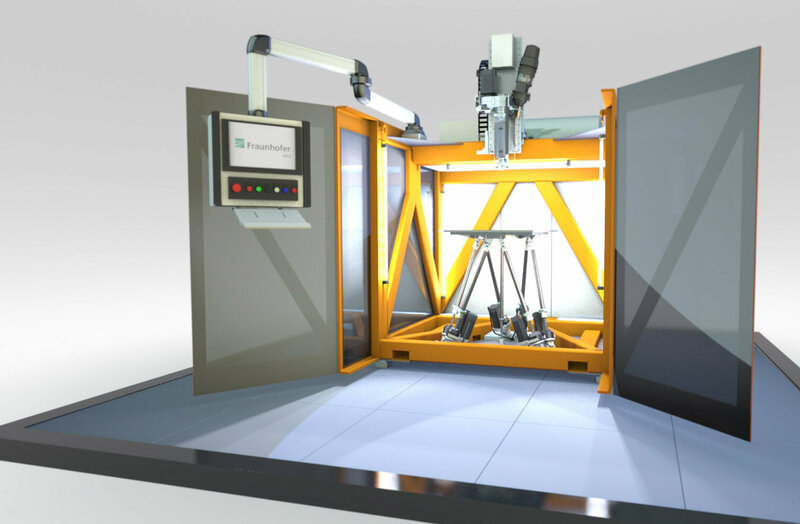 Visitors will be able to see the ultrafast 3-D printer in action at the Fraunhofer Booth C22 in Hall 2 during the Hannover Messe from April 1 through 5, 2019. Three-dimensional printers that build small souvenirs layer by layer from melted plastic are often used at tradeshows. It can take up to an hour to produce a pocket-sized souvenir. This process is far too slow for the mass-production of components, as required by the automotive industry, for instance. A system from the Fraunhofer Institute for Machine Tools and Forming Technology IWU in Chemnitz is now taking 3-D printing to a new level: The system's high-speed technology takes only 18 minutes to produce a plastic component that is 30 centimeters high. A team of researchers at the Fraunhofer IWU has developed this technology for the additive manufacture of large-volume resilient plastic components. Tool manufacturers as well as the automotive and aerospace industries benefit from the innovative 3-D printer that achieves eight times the process speed. This printer uses the SEAM – short for **** Extrusion Additive Manufacturing – process developed at the Chemnitz Institute.